Daylight saving time is the practice of advancing clocks during summer months so that evening daylight lasts longer, while sacrificing normal sunrise times. March is Nutrition Month and this year saw dietitians help Canadians Unlock the Potential of Food. Everyday dietitians help Canadians unlock the potential of food to enhance lives, improve health, inspire children, fuel activities and bring people together. We realize that nutrition is much more than discovering vitamins and minerals. It is about getting enough of all the right foods in the calories allotted plus minimizing the processed foods that are over-consumed. In our super busy worlds where high-calorie, palatable foods are both convenient and abundant, nutrition for most consumers is more about navigating the systems of their lives to make good decisions than worrying about being vitamin deficient. 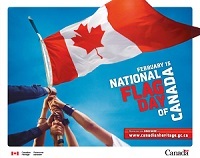 February 15 is National Flag of Canada Day. Canada’s flag is a symbol that unites all Canadians and reflects the common values we hold so dear — equality, diversity and inclusion. Take this opportunity to honour our iconic flag. Valentine’s Day is an opportunity for people in Canada to tell somebody that they love them in a romantic way. 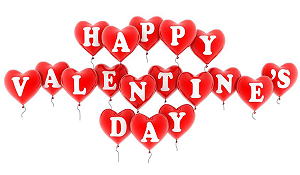 It falls on February 14, the name day of two saints, St Valentine of Rome and St Valentine of Terni. It is a festival of romantic love and many people give cards, letters, flowers or presents to their spouse or partner.